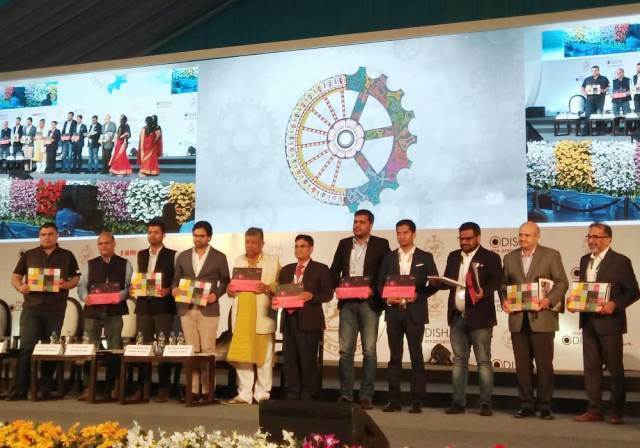 ONI Bureau: On its third day in “Make in Odisha Conclave-2018” investors’ meet, Odisha received investment proposals of Rs 2750 crore for healthcare, Rs 1177 crore for Micro Small and Medium Enterprise (MSME) & Rs 137 crore for Textiles sector. On this occasion, the Vision 2025 for health sector was released by Odisha Health & Family Welfare Minister Pratap Jena. The Odisha Health Minister informed that various partnership projects will be rolled out within the next 2-3 years with an investment of Rs. 2,750 crore that includes digital dispensaries, diagnostic & dialysis services in medicals, cardiac care hospital at Jharsuguda, cancer care projects any many more. Likewise, out of Rs 1177 crore in MSME sector, the maxumim amount is being given by Dr Uday Shankar Sethi, an Odia entrepreneur settled in Gujarat, Odisha MSME Additional Chief Secretary L. N. Gupta informed. Various companies including Aditya Birla Group, Shahi Exports and Wild Lotus Fashion has proposed to invest of Rs 137 crore in Handlooms, Textiles and Handicrafts sector that will provide job to over 6,500 workers in Odisha, Minister Snehangini Chhuria said.